We at Toddler-Net created these worksheets to help you educate your children. We have numbers, letters, and shapes. Some of our worksheets are for little kids, others can even be used in school. There are teachers and parents who argue that worksheets are boring and too abstract for little children. They also say that worksheets do not teach but rather test what children already learned. We do not agree. The right worksheet at the right time is a great tool that can be fun and interesting, and, most importantly, educational. This page will help you find the right worksheet for your child from our collection. Try them. They are free for your personal use. For other uses contact us at webmaster@toddler-net.com. If you are looking for a particular letter, here we have all our letter worksheets listed alphabetically. Click on the letter to see all available worksheets for it. All our number worksheets listed by number. Click on the number below to see all our worksheets for it. Our shape workseets and shape coloring pages can be found here. 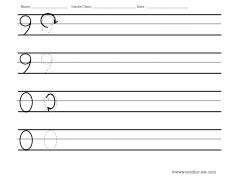 Our worksheets below are grouped by style. You can use these links to find all our worksheets for tracing, writing, cursive, numbers, and more. Our letter flash cards will help your kids learn their ABC. These worksheets will help your child to recognize letters in different words and associate them with known objects. First step in teaching your kids to write letters. These worksheets have two rows for tracing and two for writing. On these worksheets kids have two rows for writing capital letters and two rows for writing small letters. 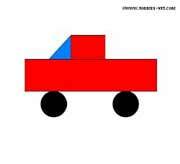 These are simple number worksheets for preschool children. 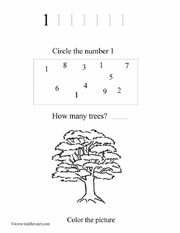 These worksheets will help kids learn and recognize different numbers. 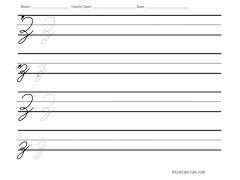 These worksheets are for kids who are just starting to learn cursive writing. 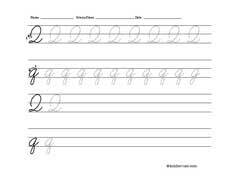 Worksheets for kids to practice cursive letters. 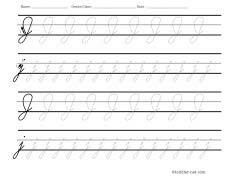 Your children can practice cursive writing using these worksheets. 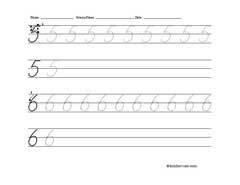 Children need to know how to write the numbers in cursive. And these worksheets will help them to learn just that. Our name tracing and writing worksheets will help kids learn how to write their names.